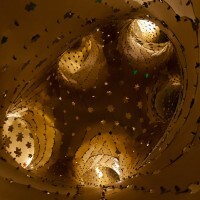 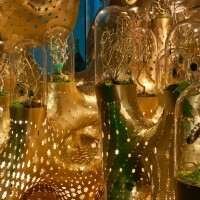 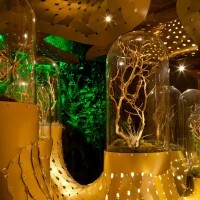 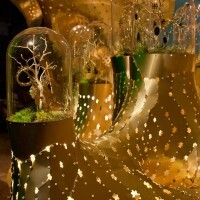 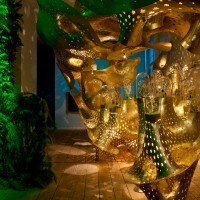 Thursday, September 29th 2011 marks the opening of the second installation by BOFFO Building Fashion with the two week opening of Irene Neuwrith + Marc Fornes /THEVERYMANY. 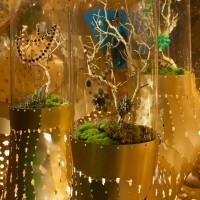 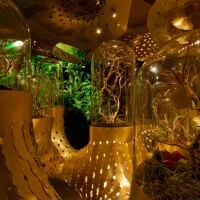 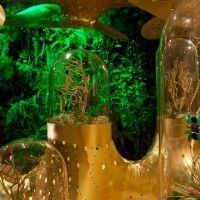 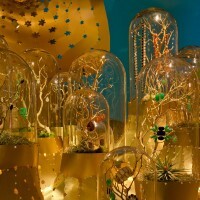 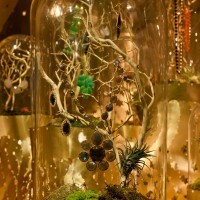 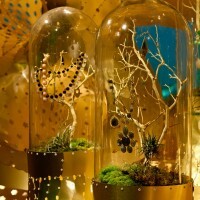 Part of the 1,800 square foot space at 57 Walker Street, New York, was transformed using contemporary techniques to design a unique retail structure that will house a collection of raw timeless jewelry pieces from Irene Neuwirth. 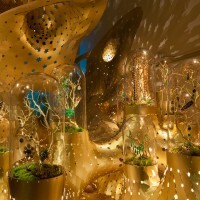 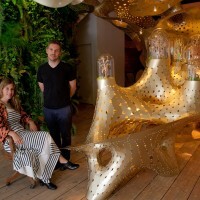 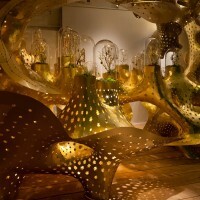 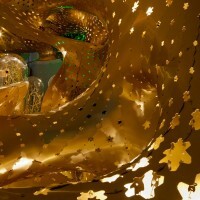 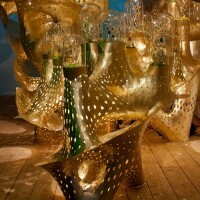 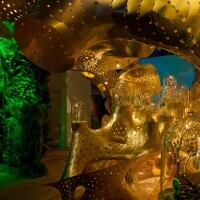 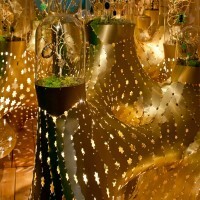 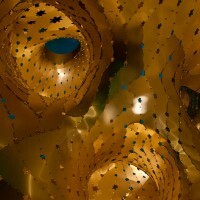 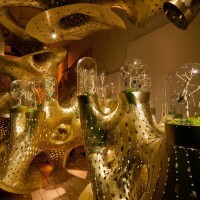 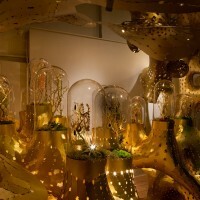 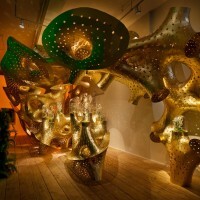 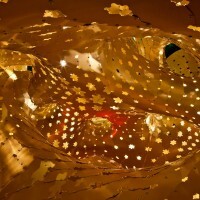 As one of the worlds leading developers of applied computational protocols in the field of design and fabrication, Marc Fornes / THEVERYMANY were selected from some of the top architectural candidates in the world by BOFFO, Irene Neuwirth along with a specifically selected panel of judges had specifically chosen them to help shape the retail environment into a pure and natural inspired collaboration that will compliment breathtaking structural designs and elegant timeless jewelry. 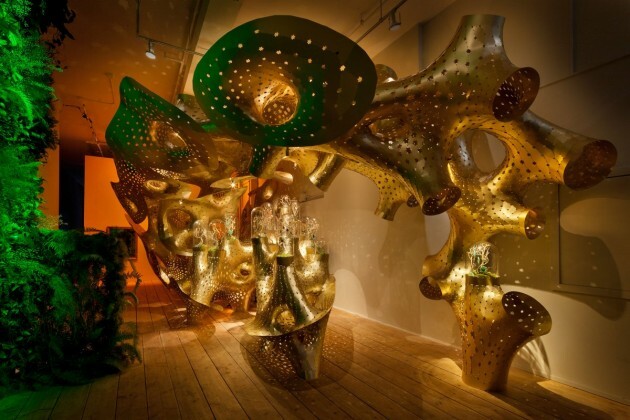 The precise gold and stone balance of fine gemstones will be present in the store where chrysophase, moponstone, and lapis amongst others are interlaced within intricate golden lattice of digitally fabricated architecture.